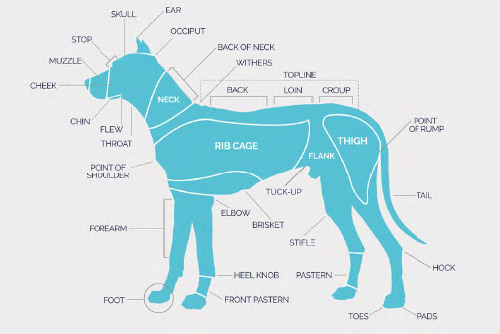 Thanks to QC’s emphasis on practical assignments and personalized feedback, along with detailed course books and DVDs, learning dog grooming online is just as effective as in-class dog groomer training. And it’s way more convenient! 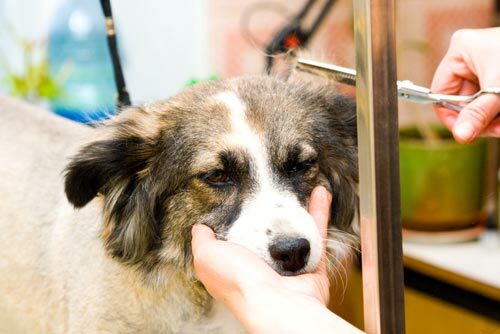 Once you’ve completed your dog grooming course, you’ll graduate with the International Dog Grooming Professional (IDGP) certificate. 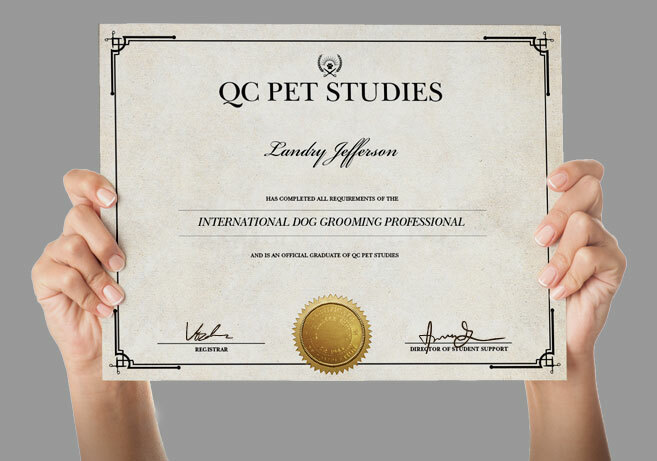 This certificate of completion attests to your success in learning both the theoretical and practical components necessary to start your career in the dog grooming industry. 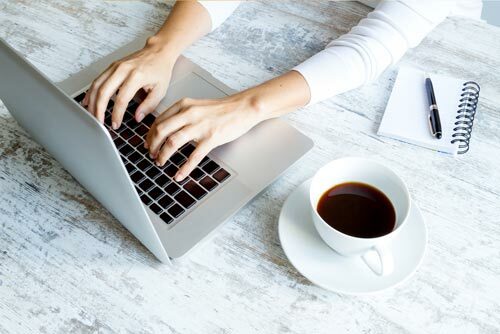 Try the course risk-free for 21 days. 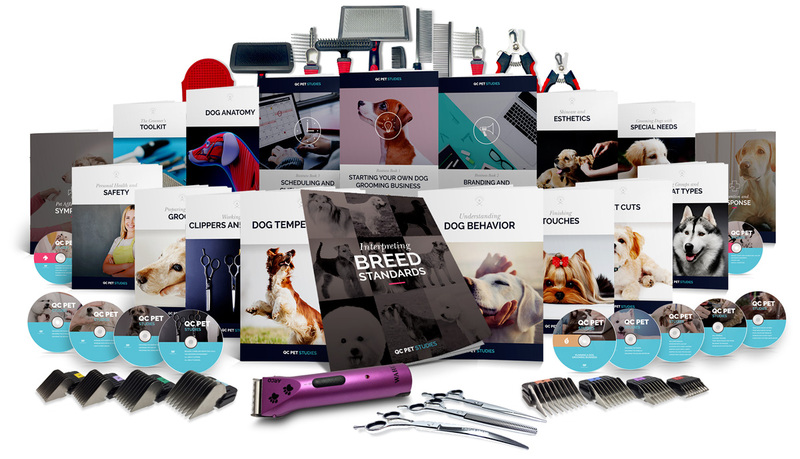 This gives you time to receive your course materials and evaluate whether the dog grooming course is right for you. If you decide it’s not a good fit, simply contact QC to arrange a return of your course materials for a refund. It’s that easy! Note: All materials must be returned unused and in their original condition in order to get a full refund. This course will pay for itself within a year. That’s a promise. 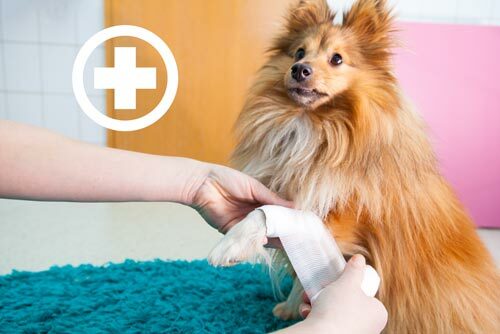 If one year after receiving your certificate of completion, you haven’t earned the equivalent of your tuition fees in dog grooming fees or salary, your dog grooming course tuition will be refunded in full.